Lüderitz is located in the South of Namibia, sandwiched between the stark Namib Desert and the cold Atlantic ocean. This quaint port town with its old German-style architecture, beautiful wide-open skies and crystal clear seas and white beaches, often reminds one of a small Bavarian dorfchen (small village), with churches, bakeries and cafes. Apart from its architecture the town also boasts various other must-see attractions and activities, from the ghost town of Kohlmanskop, dolphin cruises, to the growing waterfront next to the port. A large three star hotel and various other bed and breakfasts provide comfortable accommodation, while a number of restaurants and cafes provide hearty meals of local and German cuisine. 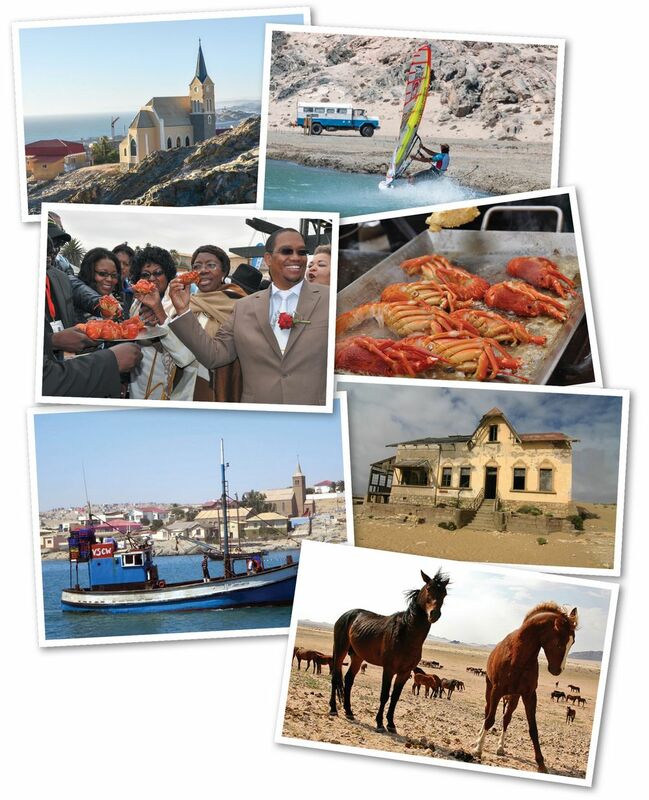 Lüderitz is especially known for its rock lobster and oysters. The annual Crayfish Festival and international Speed Week challenge (kite surfing) are some of the hightlights on events calendar of Lüderitz. It’s the natural environment surrounding the town where Southern Namibia really comes to life. The rocky coastline of the Lüderitz peninsula harbours flamingo flocks and penguin colonies, while the adjacent Sperrgebiet National Park is arguably the country’s wildest and most pristine landscape. A photographer’s dream!